The ring SETTEDONI is a fascinating combination of harmonies, of line and thought. 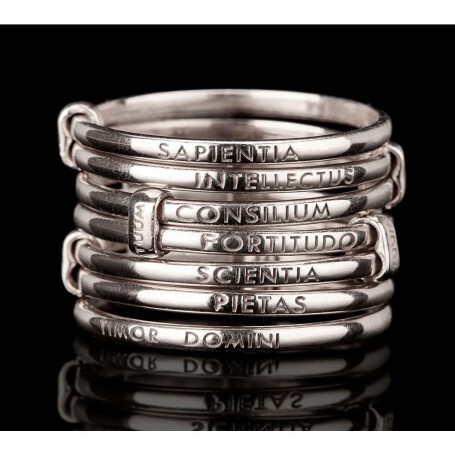 A soft loop, but also a solid tower, of values, of gifts: Sapientia, Intellectus, Consilium, Fortitudo, Scientia, Pietas and Timor Domini. Is the accomplished balance between liberty and union: seven records of single, chained together, free to move around but strong mutual bond. Perfect show of the self-determination of individuals in the complexity and strength of the commitment. A jewel designed for both men and women. With SETTEDONI TUUM draw concepts, leaving completely free the right estimator in the interpretation of the jewel. Free to make their own a gift, a virtue and interpreting it as he sees fit. Characteristics and attitudes that take shape in an original design and patented. 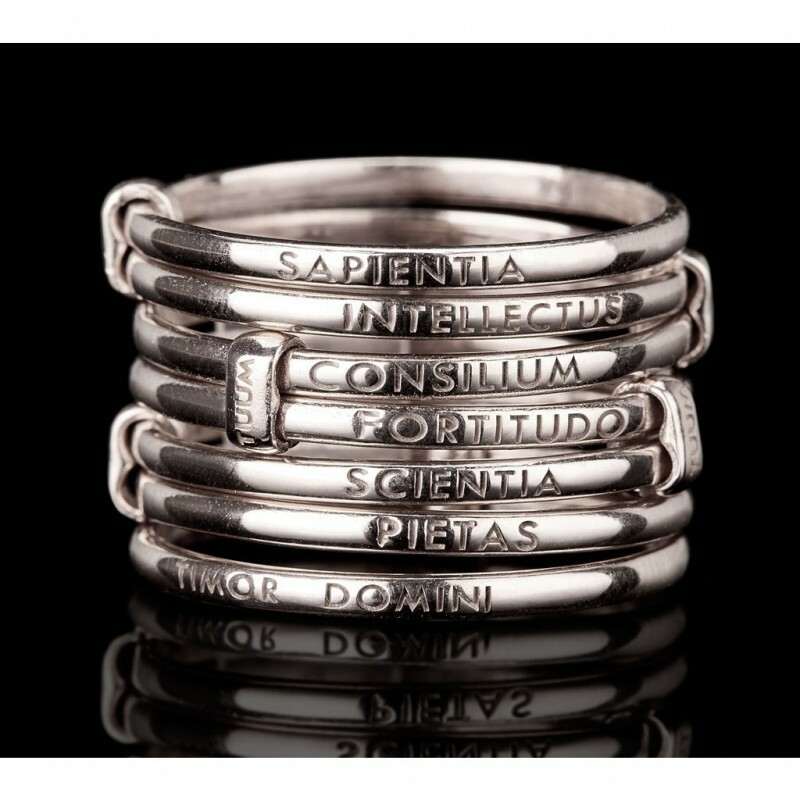 Lines round that tends to infinity, the perfection of a masterpiece, which once again, goldsmiths TUUM give it life.